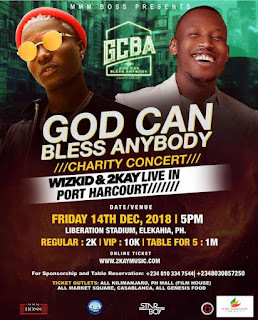 Starboy CEO Wizkid and Grafton record's Mr 2Kay were scheduled to host a charity concert titled "God can bless anybody" in the garden city of Port-harcourt on the 14th of december 2018 at the yakubu Gowon international stadium formerly known as Liberation Stadium. 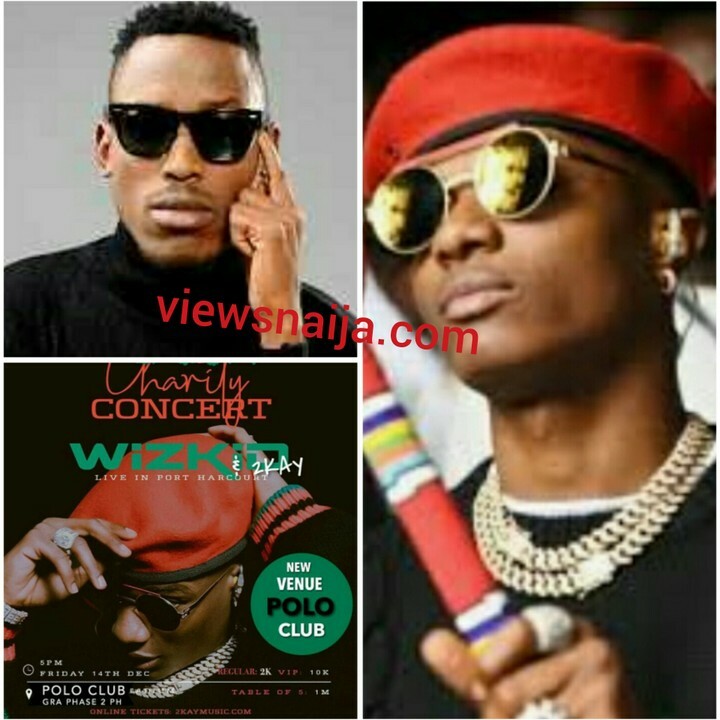 The supposed charity event was been funded by the Niger Delta Development Commission (NDDC) which allegedly gave a huge undisclosed amount of money to host the concert. Wizkid who is set to headline the event was allegedly paid a whopping N30M as his appearance fee and that of his crew. 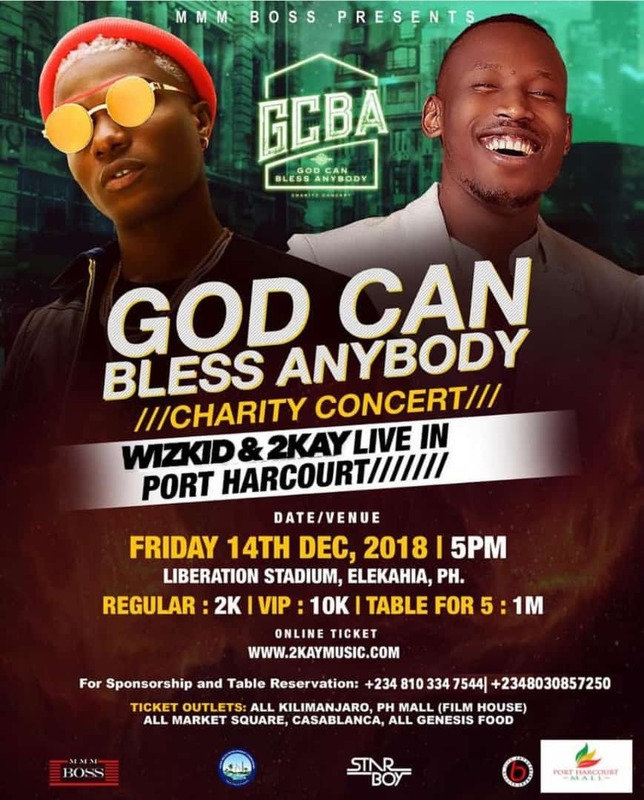 The show promoters(MMM Boss) then approached the Rivers state government to use the huge capacity Yakubu Gowon international stadium for the concert and it was given out to them free of charge. The dates and venue of the event was fixed and preparations were already in top gear. However,few days to the event, it was reported from some quarters that the All progressives congress (APC) were planning to use the concert as a campaign vehicle. Recall that the major financiers of the Charity concert is the All progressives congress (APC) Led Federal Government owned NDDC . This did not go down well with the Rivers State Peoples Democratic Party, PDP-led government which immediately led to the concert been stopped from holding at the state owned facility! The less than 3'000 capacity Port-harcourt polo club was then choosed as the new venue. Recall that wizkid has always boasted about hosting shows in huge capacity facilities. We are just going to keep our fingers crossed and hope For a successful concert.